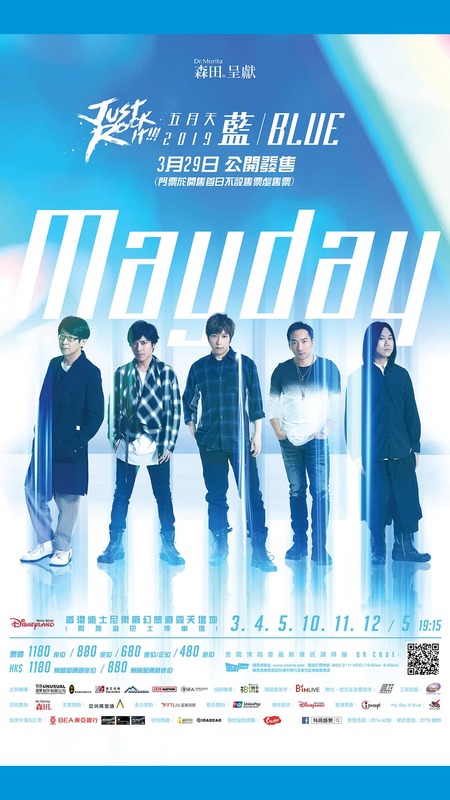 Package includes 2 concert tickets for Dr. MORITA presents MAYDAY JUST ROCK IT 2019 BLUE and 1 night standard room accommodation! Between May 3 to 5 and May 10 to 12, 2019, indulge yourself with music and Disney Resort experience! How better to rest and relax in style after hours of excitement, than staying at the Disney Hotels? Step out of the concert and head direct to a restful stay at the hotels, just 10 minutes away by free shuttle bus. Wake up to beautiful surroundings and our famous hospitality, as you make the most of your rest of your stay with our array of amenities and fun activities across the hotels. You can also purchase Hong Kong Disneyland Park Ticket Package to make your trip more memorable! Thanks for your support! Hotel Package are now sold out. Check-in dates from May 3 to 5 and May 10 to 12, 2019 with check-out date on or before May 13, 2019. HK$168* for a dinner set in one of the fabulous restaurants in Hong Kong Disneyland Resort, exclusive for concert guests! Convenience and free transportation between restaurants and concert venue included, you can enjoy your early dinner without worrying jam in traffic and miss any precious moment in the concert. *10% service charge applies. The designated period of this offer is from 16:30 to 18:30 and subject to availability. Please contact Walt’s Cafe (+852 3510-6000), Studio Lounge (+852 3510-5000) or World of Color Restaurant (+852 3510-2000) for your reservation. Reservation recommended due to limited availability. Fantasy Road Outdoor Venue Hong Kong Disneyland (Coach Park) is hosting concerts on May 3-5 and 10-12, 2019. On those event days from 5:00PM or earlier, Hong Kong Disneyland Resort private car park will suspend vehicle entry for parking and only be reserved for Guest pick-up and drop-off. Vehicles parked prior to the entry suspension can continue to park at the car park. On-the-day arrangement may be subject to further changes based on circumstances. All drivers should follow the instructions given by our Cast Members on site. Guests are also advised to use public transportation on those days for travelling to Hong Kong Disneyland Park and Hotels.